I started dancing when I was about 3. Some of my earliest and most vivid memories are of dancing. The very first dance form I learned was Jazz. The first studio I attended was in Calgary called Kal Sollaway’s. I can recall the space, the studio, traveling across the floor, and even the steps we did. I still remember the first song I ever danced to, “Where in the world is Carmen San Diego?” . My first dance teacher, Barbara Patrick, was forever frustrated because I ignored the beat and speed through the steps. I remember dancing on stage in my red cape and hat, feeling like red riding hood. Barbara would later become my teacher for years, and as I grew older she became my friend and family. She and her sister, Amanda, would impact my life in inexplicable and positive ways. 2. Is there an early dance experience that stands out in your memory? Something you liked or disliked? Tell me about it. Dance has always been a part of my life. Sometimes I was enamored with it, and other times I felt I should quit. I always practiced no matter what. I danced everywhere and anywhere in my house. 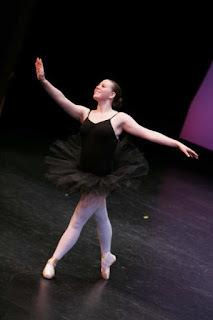 My dad, who I lovingly refer to as a “dance dad”, used to yell, “Stop stomping around the house!” I would happily move to another area of the house and continue to practice fouettes, grand jette en tournant, pull backs, and double wings. Whether I was enamored or not, I was determined to get it right. That practice, determination, and hard work would keep me sane later on when I pursued my BFA in Dance at York University in Toronto. Can anyone do something for 20 years and not evolve? I have learned to listen to the music, to slow down, and to focus on what I am doing. The one thing that hasn’t changed is my willingness to try. Even in other areas of my life, I have always tried. There is nothing more exhilarating than feeling, for even a second, that you might fail. That precarious place makes success that much more satisfying. No one can ever get to that place with out at least trying. 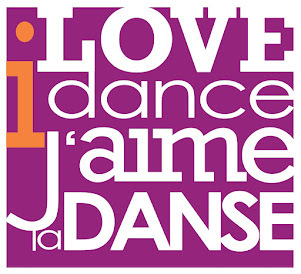 Five words that describe dance to me are: emotional, trust, hard work, exhilarating, and satisfying. Thank you for your honest and heartfelt responses, Nadege!